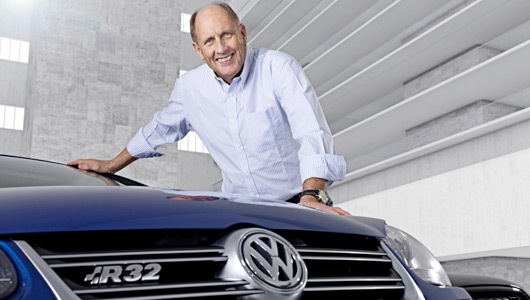 Volkswagen ambassador and former Formula One driver Hans-Joachim Stuck says the German auto giant is flirting with the idea of becoming an F1 engine supplier. “If you’re the world’s largest manufacturer is natural that we’re thinking about [F1], but not before 2012,” he said. Stuck believes that purchasing a team is too costly and doesn’t suit a large manufacturer, whereas the ability to be a supplier for multiple teams has more appeal for all involved, “It’s like Formula 1 in my days. We had March, we had Lotus, and we had Ford engines. Then Renault came in as engine manufacturer, with a formidable engine. This was perfect. While F1 is the ultimate, Volkswagen has enjoyed success in feeder categories of late, as well as being the current Dakar Rally champions. Of more relevance, are the British and German F3 titles recently won by Volkswagen powered cars. How would the VW crew cope with the prima-donna club that is the F1 exec? Surprised they don’t stage their own Formula!